Owned and operated by the prestigious London Club International, Manchester 235 is a luxury anyone can afford. The casino, which is situated next to Hilton Deansgate on Watson Street, is built across two floors of grand design reminiscent of Las Vegas glitz and glamour and boasts state of the art casino games, an award winning restaurant and the city's most stylish bar renowned for its live event performances. You could be a seasoned gamer or a novice, the casino has something for everyone. Choose from the 18 brand new slot games with jackpots of up to £4000 or try your luck at the 25 table games that include American Roulette, Blackjack, Three Card Poker, and Punto Banco. 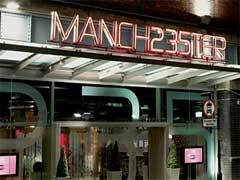 Manchester 235 operates a no membership policy though patrons have to be over the age of 18 to enter the casino. Membership benefits include a free newsletter, membership card, members only discounts and events, as well as reward points and special offers. The casino operating hours are from 2pm - 6am daily. The Linen Restaurant timings are as follows: Monday to Thursday: 6pm - 11pm, Friday & Saturday: 6pm - 12am and Sunday: 6pm - 11pm. The Ocean Treasure restaurant is open daily from 6pm to 4am. The Fusion Bar Opening Hours are 2pm - 5am from Monday to Sunday while cocktails will be served from 5pm - 5am, Monday to Sunday. The Fusion Bistro is open Sunday to Thursday from 6pm - 2am and on Friday and Saturday from 6pm - 3am. The Icon Casino and Bar is available Sunday to Thursday from 9pm - 3am and Friday and Saturday from 8pm - 5am. The Linen restaurant is set away from the gaming floor and the contemporary menu focuses on fresh meat and fish dishes, offering an extensive wine list and a boutique dine-in wine cellar. For those that fancy something special, try the chef's table which offers views into the lively kitchen. Linen offers special set menus that are a great value for your money. Ocean Treasure is a Chinese restaurant that features traditionally Cantonese food prepared by master chef "Milky Boy" who is well known within the Chinese community and has over 30 years of experience in Chinese cuisine. The Fusion Bar has a stunning 8 metre glass bar and is the ideal location for a party or a great late night out. If you are looking for somewhere for a quick bite, try Fusion Bistro that serves a delicious bar menu. Don't forget to take advantage of the buy one get one free offer on all cocktails. The Icon is a private members casino and bar at Manchester 235 and boasts a self contained bar, 3 roulette and 3 blackjack tables making it the perfect place to host a private party. The Icon is not open to the general public and is often frequented by celebrities. Every year, Manchester 235 offers 50 new memberships to the exclusive Icon. Benefits include guaranteed access to Icon as well as an individual allowance of 3 guests per visit. As a member, you also receive a 20% discount at the Linen restaurant and can hire the private room for private functions. 235 Live is the private events and entertainment lounge and has a fabulous stage and an open sky roof effect. The space is sound proofed and also serves as a fabulous function room. The Manchester 235 Experience Packages offers a great casino experience. The package includes two cocktails at the Fusion bar, a two course express meal in Fusion Bistro and a free £10 bet on Black or Red roulette with tuition all for £25.